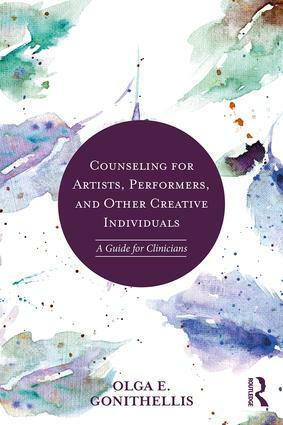 Informed by clinical case studies, scientific research, and relevant theories, Counseling for Artists, Performers, and Other Creative Individuals takes an in-depth look at the ways creative traits, the arts and entertainment industries, and mental health interact. This hands-on guide examines many of the issues that afflict creative populations, such as performance anxiety, psychiatric disorders, and occupational stress, with a nuanced understanding of the roles that creativity and the arts play in the lives of these individuals. Each chapter provides examples of specific goals and interventions for clinical practice, including additional space for clinicians to write down ideas tailored to their clients’ unique needs. This is essential reading for practitioners looking to treat creative clients’ psychological difficulties with insight and sensitivity. "The better we understand the challenges of the creative personality, the creative life, and the creative act, the better we can help the millions of creative individuals whose precise difficulties are regularly misunderstood in therapy and counseling. In Counseling for Artists, Performers, and Other Creative Individuals, Olga Gonithellis provides clinicians with excellent insights and useful techniques that will help them more effectively serve their creative clients." "Olga Gonithellis’s Counseling for Artists, Performers, and Other Creative Individuals provides a strong overview of key issues that impact the creator. Anyone who counsels people who identify as creative will benefit from Gonithellis’s thorough, even-handed, and clear explanations of often contradictory and confusing research. Highly recommended." "The struggle toward self-actualization is a real one. This book takes these struggles seriously and incorporates an impressive breadth of psychological findings to help all people—scientists, artists, and everyone else—turn their deepest insecurities, anxieties, and traumas into the highest heights of authenticity and creative expression." Olga E. Gonithellis, MA, LMHC, is a psychotherapist in private practice in New York City, where she specializes in counseling artists, performers, and other creative individuals.